I’m no boater, but a boat should not be stored in the water during the winter, right? 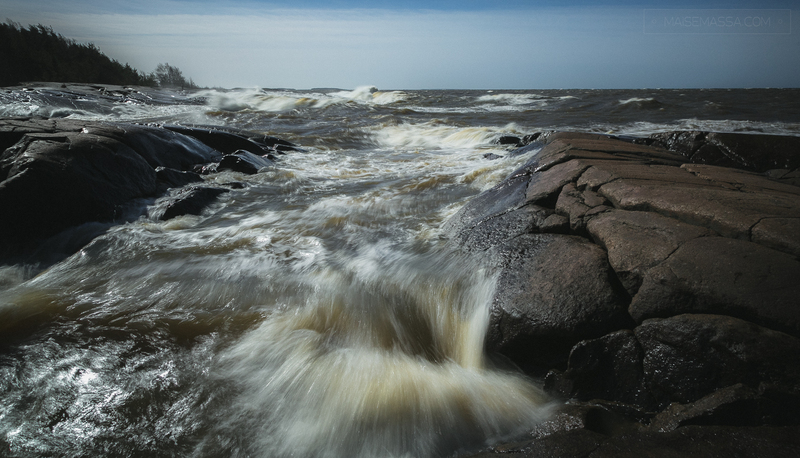 This was the case when I found myself in a small boat harbor by the river Kokemäenjoki. The river was frozen and the scene was quite picturesque. I thought this was a perfect place to test my new motorized timelapse slider and planned to revisit the next day. In the evening I checked the weather report. They actually predicted the next day would be one of the coldest of that december so far. 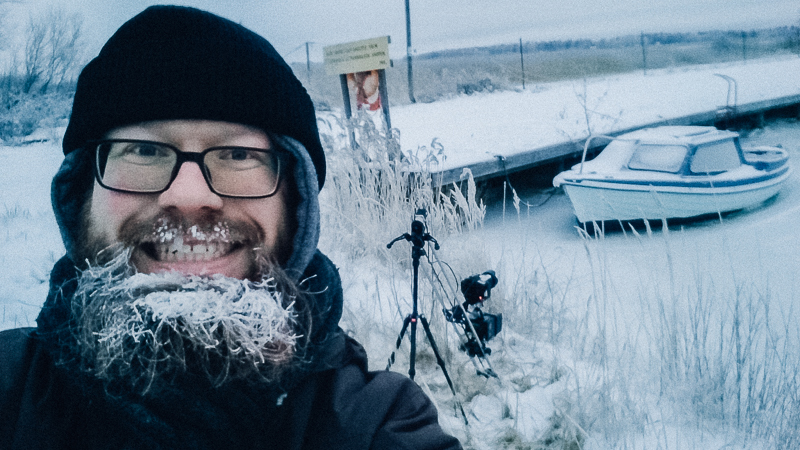 29.12.2014 – Testing Motorized slider by the river Kokemäenjoki. Temperature is near -20 °C . My intention was to shoot night to day timelapse with Holy Grail technique ( https://vimeo.com/57265142 ), so I needed to be in the location very early. I had a good plan, but implementation was not up to par. Basically I was late and adjusting the timelapse gear took longer than I expected, although there was a good reason for that; Temperature was near -20 °C . Even little things tend to be hard to do when your fingers are turning blue. Although it was freezing, the motorized slider and all the other equipment worked quite nicely. Even the battery for the TB3 and the slider’s stepper motor lasted just fine. I did have some difficulties with the knobs of tripod and slider etc. but that was to be expected because the cold. The camera operator didn’t perform so well. I made a rookie mistake, which is described in the video. Also, I’m not pleased with how I used the TB3 three-axis motion control device. There’s so much more it can do. 4.4.2013. – Waiting for the spring sun on the ice at Yyteri ( location on map ). It took almost two hours to shoot this timelapse. The idea was to have a human figure on the scene with a sort of animated movement. Since there was no volunteers, I had to be the puppet. Exposure and all the other settings were constant throughout the shoot. Basically everytime I heard the camera shutter sound, I moved myself a bit. The final timelapse would be rendered as 25 frames per second video. Interval between frames when shooting was four seconds. In a nutshell, every second in the finalized timelapse was about 1,5 minutes in real life. I can only imagine what passers-by thought when they saw me trying to imitate movement in slow-motion. And as you can see from the timelapse, I wasn’t slow enough.